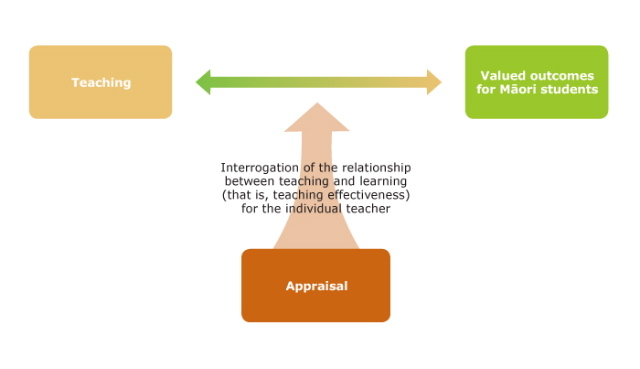 The concept of ‘appraisal for learning’ (Sinnema, 2005) emphasises that appraisal is an opportunity for teachers to learn about their effectiveness. Focusing on the relationship between teaching and learning (Figure 2) helps teachers understand their own practice and, as a result, improve the quality of student learning. More particularly, it helps teachers and school leaders to identify teachers’ developmental needs in relation to helping their Māori students realise their potential. 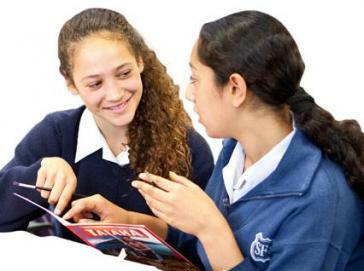 Appraisal for learning sits alongside other school processes, including those used to identify the strengths, needs, and interests of students and the aspirations of whānau and iwi. It is seamlessly integrated into teachers’ professional learning as they inquire into their effectiveness and build their professional knowledge. It challenges teachers by requiring them to be responsible and accountable for their students’ learning, but it also supports them to identify and address issues at the heart of their instructional practice. This means that individual teacher appraisal must be linked to collective planning and review throughout the school. School leaders use information from appraisal, along with their understandings about student needs and targets, to plan for professional learning and to monitor its impact. Teachers share their expertise as they reflect with others on shared problems of practice. Data is used to test and challenge assumptions and to ensure that the focus remains firmly on student outcomes. There is an understanding that every student is “ours”: that the outcomes for each student depend on the combined efforts of all staff as students move through the school. Figure 3 builds on Figure 2 to show that effective appraisal recognises the importance of school-wide collaboration and collective responsibility. For this reason, the inquiry and knowledge-building cycle in this website couches all questions in terms of “we”: appraisal is about teachers taking personal responsibility for how their practice is impacting on their students, but this responsibility is shared across the school community.